Descendants of John Newth Loads of errors here I believe. 2. Johis Newth (b. 1597 c. 5 Jun 1597 Wootton Bassett d. 1629 bur. 29 Sep Malmesbury - Glazier. sp: Joan Bungne m. 1 Nov 1624 Malmesbury..
3. 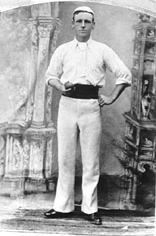 Robert Newth (b. 1625 c. 1625 Malmesbury d.1676 bur. 1 Sept. Malmesbury.) Glazier. 4. Marke Newth (b.1653 bur. 1 Dec 1659 Gentleman - probate 2 Nov 1660 - glazier of Wootton Basset - not this one though - too young! m. 6 Aug 1787 Wootton Bassett. ANN NEWTH 1792: 1841 - Ann Sterck, widow, dwelling Wood St Wootton Bassett, with two daughter, presumeable 2 grandchildren (John 1 yr and William 2 wks) and Martha Howell, 70 yrs. CAROLINE NEWTH 1822: 1841 - 15 yrs, dwelling Wood St Wootton Bassett with mother, older sister and two youngsters. Also in household is Martha Howell aged 70 yrs (74 overwritten). EDWARD NEWTH 1770: 1841 - 70 yrs, brickmaker, dwelling Buthay, Wootton Bassett, with wife and two lodging excavators. Wife ELIZABETH NEWTH 1771 - 1841: 70 yrs Buthay, Wootton Bassett. EDWARD NEWTH 1837/9: 1841 - (Edmund) 3 yrs Buthay, Wootton Bassett, with mother. EDWIN NEWTH 1838: 1841 - 2 yrs, with parents, Buthay, Wootton Bassett. FRANCIS NEWTH 1831: 1841 - 9 yrs, with parents, Buthay, Wootton Bassett. JACOB DASH NEWTH 1836: 1841 - 5 yrs, with parents, Buthay, Wootton Bassett. JANE NEWTH 1818: 1841 - 20 yrs, dwelling Wood St Wootton Bassett with mother, younger sister and two youngsters (possibly hers). Also in household is Martha Howell aged 70 yrs (74 overwritten). JULIA NEWTH 1833: 1841 - 7 yrs, with mother and siblings. ROBERT NEWTH 1811: 1841 - In transit for NZ. Wife EDITH 1806: 1841: 1841 - 25 yrs, dwelling Buthay, Wootton Bassett, with 4 children and two lodging excavators. ROBERT NEWTH 1840: 1841 - 6 mths, with mother and siblings, Buthay, Wootton Bassett. THOMAS NEWTH 1803: 1841 - 35 yrs, agricultural labourer, dwelling Buthay, Wootton Bassett, with wife and 5 children. Wife ELIZABETH 1807: 1841 - 30 yrs Buthay, Wootton Bassett. THOMAS NEWTH 1830: 1841 - 11 yrs, with parents, Buthay, Wootton Bassett. WILLIAM NEWTH 1835: 1841 - 6 yrs, with mother and siblings. WILLIAM NEWTH 1841: 1841 - 4 mths, with parents, Buthay, Wootton Bassett. ANNE NEWTH 1842: 1851 - 8 yrs, living with parents. ELIZABETH NEWTH 1835: 1841 - 7 yrs, with family. 1851 - 16 yrs, living with parents. ELLEN NEWTH 1845: 1851 - 5 yrs, living with parents. JANE NEWTH 1840: 1841 - 6 mths, with family. JOHN NEWTH 1797: A labourer at time of first 4 childrens christenings. 1841 - 42 yrs, publican dwelling Studly Hill Wootton Bassett with wife and 6 children. 1851 - 52 yrs, labourer, dwelling High St., Wootton Bassett, with wife and 5 offspring. No sign of him or family after this census. Wife SARAH abt 1801: 1841 - 40 yrs. 1851 - 50 yrs. JOHN NEWTH 1829: 1841 - 12 yrs, with family. 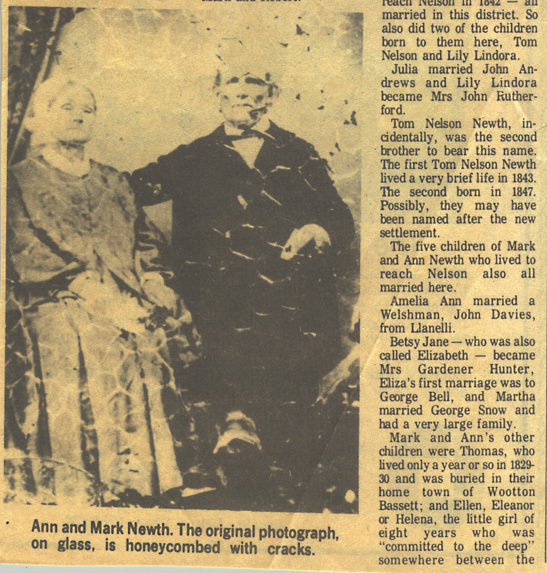 ROBERT NEWTH abt 1838: 1841 - 3 yrs, with family. 1851 - 13 yrs, living with parents. THOMAS NEWTH 1832: 1841 - 10 yrs, with family. 1851 - 18 yrs, labourer, living with parents. WILLIAM NEWTH 1827: 1841 - 14 yrs, with family. 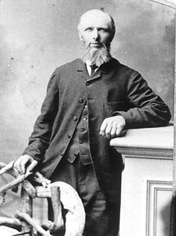 JOHN NEWTH: 1851 - 57 yrs, coal labourer at wharf, dwelling Marsh, Staverton, Trowbridge with wife and son John. Wife SARAH: 1851 - 48 yrs. JOHN NEWTH: 1851 - 24 yrs, ? 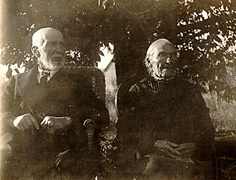 b. Staverton, with parents. Descendants of John Newth - different format using online data. Why the coming and going from Malmesbury to Wootton Bassett - it doesn't look that close - did it actually happen! I am starting to question the research done by my predecessers! At what point in time were the canals made. Glazier business seems to be very much the occupation in the earlier years. I even found a Gabriel Newth working on a building in Cork in 1743. THE COUNCIL BOOK OF THE CORPORATION OF THE CITY OF CORK - City Expenses - " 22 1s 3 3/4d to Gabriel Newth, glazier, for work done at the New Corn Market house, and sawder for said work." Those highlighted in blue either died as infants or appear not to had produced offspring. BEATRICE NEWTH 1880: 1881 - 4 mths, with parents. 1901 - 10 yrs, with parents. BERNARD NEWTH 1876: 1881 - 5 yrs, with parents. CHARLES FRANCIS NEWTH 1852: 1861 - 9 yrs, with mother and siblings. 1871 - 19 years, gardener, living with parents. EDITH EMILY NEWTH: 1881 - 3 yrs, with parents. 1901 - 13 yrs, with parents. 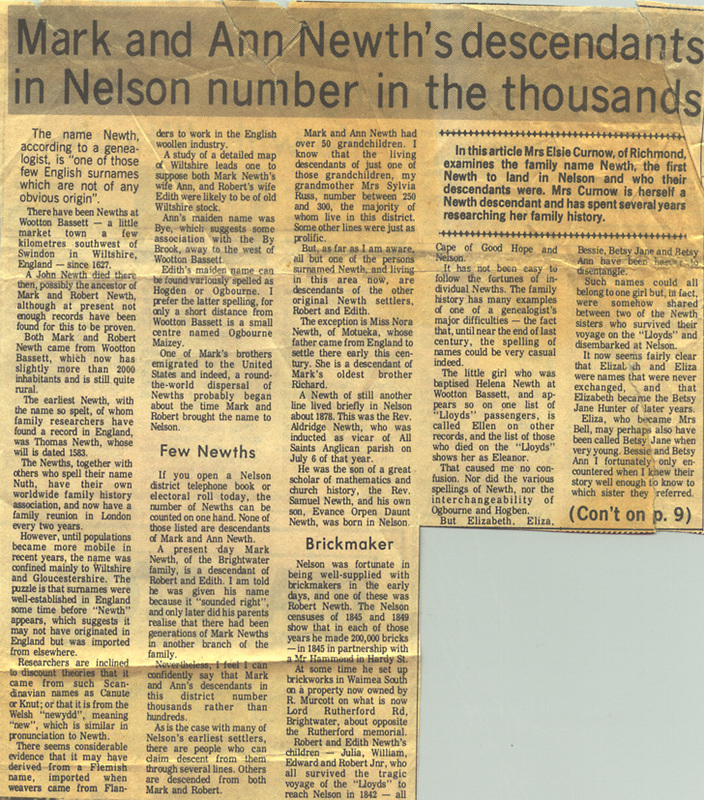 EDWARD NEWTH 1770: 1841 - 70 yrs, brickmaker, dwelling Buthay, with wife and to excavating lodgers. Two entries down on census is son Thomas. 1851 - 80 yrs, widowed pauper, dwelling Buthay with 12 year old grandaughter Harriet Leighfield (b. WB) in residence. EDWIN NEWTH 1838: 1841 - 1851 - 12 yrs dwelling Buthay, Wootton Bassett with parents. ELLEN ELIZABET NEWTH 1873: 1881 - 7 yrs, with parents. 1901 - 17 yrs, with parents. ERNEST EDWARD 1882: 1901 - 8 yrs, with parents. FRANCIS NEWTH 1831: 1841 - 1851 - 19 yrs, agricultural labourer, dwelling Buthay, Wootton Bassett with parents. 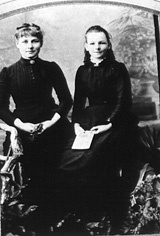 HARRIET NEWTH: 1861 - 6 yrs, with mother and siblings. JACOB DASH NEWTH 1836: 1841 - 1851 - 14 yrs dwelling Buthay, Wootton Bassett with parents. 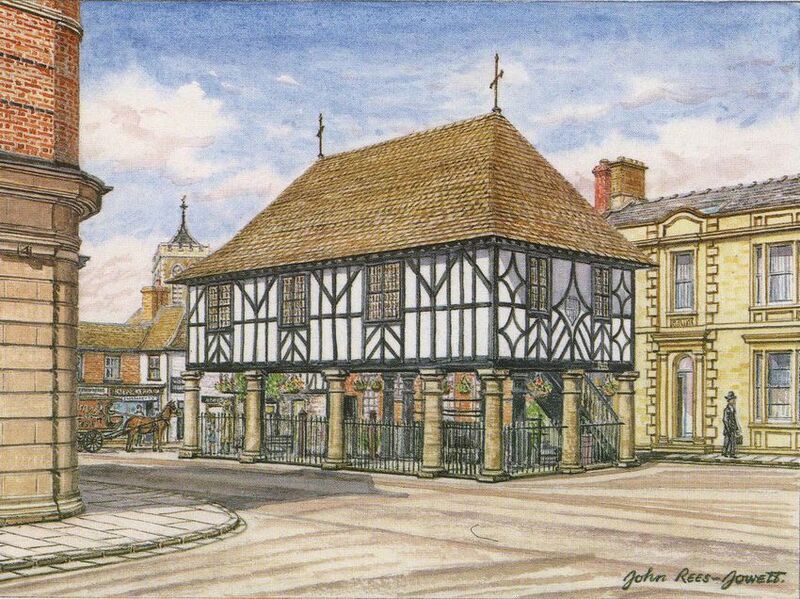 JOHN NEWTH 1847: 1851 - 3 yrs dwelling Buthay, Wootton Bassett with parents. 1861 - 13 yrs, agricultural labourer, living with mother and siblings. 1871 1881 - 33 years, grocer, dwelling Wood Street, Wootton Bassett, with wife and 5 children. 1891 - 43 yrs, occupation, dwelling ???????? with wife and 5 children. Wife ELIZABETH abt 1842: 1881 - 39 yrs. 1891 - 48 yrs. 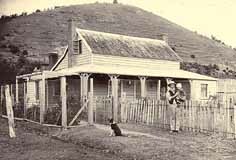 1901 - 46 yrs (oopsy) widow, dwelling Dixon St., with 2 offspring and granddaughter 8 year old Edith Tuck. 1911 - 69 yrs, widow, dwelling High Street, Wootton Bassett with son Sidney and granddaughter Edith Tuck aged 18 yrs. THOMAS NEWTH 1803: 1841 - 1851 - 47 yrs, agricultural labourer, dwelling Buthay, Wootton Bassett with wife and 8 children. 1861 - Thomas Newth is not with wife and children in census. According to a newspaper article dated 11 March 1861 in Swindon Advertiser, he was sentenced to 6 months in prison on 07 March 1861. Source- Article appearing in Ancestry Trees 1871 - 67 yrs Lime burner, dwelling Rope Yard, Wootton Bassett with wife and one grown up son. Died aged 78 years. Wife ELIZABETH DASH abt 1811: 1841 - 1851 - 41 yrs. 1861 - 51 yrs, labourers wife dwelling Buthay with 4 offspring - no sign of Thomas - in jail. 1871 - 64 yrs. 1881 - 71 yrs, labourers widow, dwelling Rope Yard, Buthay with niece Caroline Arman (Harman) general servant b. Chippenham. Died aged 71 years. ROBERT NEWTH 1846: 1851 - 5 yrs dwelling Buthay, Wootton Bassett with parents. 1861 - 15 yrs, agricultural labourer, living with mother and siblings. SIDNEY 1879: 1881 - 1 yr, with parents. 1901 - 11 yrs, with parents. STEPHEN NEWTH 1843: 1851 - 7 yrs dwelling Buthay, Wootton Bassett with parents. THOMAS NEWTH 1829: 1841 - 1851 - 21 yrs, agricultural labourer, dwelling Buthay, Wootton Bassett with parents. WILLIAM NEWTH 1841: 1841 - 1851 - 10 yrs dwelling Buthay, Wootton Bassett with parents. ANNIE CHARLOTTE NEWTH 1873: 1881 - 7 yrs, with parents. 1891 - 17 yrs, pupil teacher, living with parents. 1901 - 27 yrs, assistant school mistress, living in the family home. CLARA ELLEN NEWTH 1876: 1881 - 5 yrs, with parents. 1891 - 15 yrs, telegraph clerk, living with parents. 1901 - 27 yrs, Post Office Clerk, living in the family home. FRANCIS ROBERT NEWTH 1865: 1871 - 5 yrs, with parents. FREDERICK STEPHEN NEWTH 1863: 1871 - 7 yrs, with parents. HILDA MAY NEWTH 1906: 1911 - 5 yrs, with parents. MURIEL ALEXANDRA NEWTH 1902: 1911 - 8 yrs, with parents. PHYLLIS MILDRED NEWTH 1904: 1911 - 6 yrs, with parents. STEPHEN NEWTH 1843: 1851 - 7 yrs dwelling Buthay, Wootton Bassett with parents. 1861 - 18 yrs, labourer, lodging in Knighton household, Coxtalls, Wootton Bassett. 1871 - 27 yrs, Grocers porter, dwelling Buthay Wootton Bassett with wife and 4 children. 1881 - 37 yrs, grocers porter, dwelling Wood St., with wife and 4 children. 1891 - 47 yrs, Grocers assistant, dwelling back of High St., Wooton Bassett with wife and 3 offspring. 1901 - 57 yrs, grocers traveller, dwelling near High St with new (very young) wife and his two youngest daughters. 1911 - 67 yrs, canvasser grocery, dwelling High St., Wootton Bassett with wife of 12 years in a 6 roomed house. No children from this marriage apparent. Died aged 90 yrs. 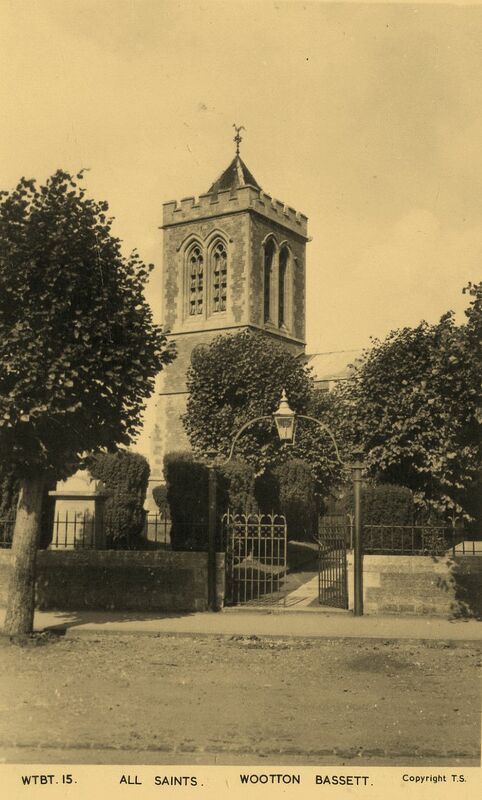 PROBATE: Stephen Newth of 54 High St., Wootton Bassett, died 5 February 1933 at 6 Highworth Rd., St Margaret Wiltshire. Administration (with will) Winchester 15 May to Lizzie Meana Newth, widow. Effects £353 3s. Wife MATILDA abt 1844: 1871 - 27 yrs. 1881 - 37 yrs. 1891 - 47 yrs. Died aged 51 yrs. Wife LIZZIE MEANA abt 1873: 1901 - 27 yrs - just 2 yrs older than youngest daughter of Stephens. 1911 - 37 yrs. Died aged 81 yrs. PROBATE: Lizzie Meana Newth of St Keverne Whitely Rd., Tansley, Derbyshire, widow, died 1 July 1955. Probate Nottingham 28 May to Arthur Neville Mills Chatered accountant. Effects £1045 11s 6d. WILLIAM JAMES NEWTH 1870: 1871 - 1 yr, with parents. 1881 - 10 yrs, with parents. Married aged 29 yrs, grocer, bachelor, son of Stephen, dwelling India House at time of marriage. 1901 - 30 yrs, grocer shopkeeper, dwelling Barton St, South Hamlet, Gloucester, with wife and baby son. 1911 - 40 yrs, Grocer, dwelling in 6 roomed abode 221 Barton St, Gloucester, with wife of 12 years and all 4 of the children born to them. Also one servant in residence. 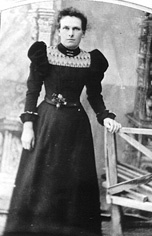 Wife MARY ANN BAYLISS abt 1880: Daughter of William Bayliss,lic. victualler. Was 19, spinster, dwelling India House at time of marriage. WILLIAM STEPHEN NEWTH 1900: 1901 - 4 mths, with parents. JANE NEWTH about 1785? : 1851 - 67 yrs, labourer, living with widowed father in Wootton Bassett. THOMAS NEWTH about 1762: 1841 - 75 yrs - dwelling Wood St., Wootton Basset with wife Mary. 1851 - 88 yrs, pauper, dwelling Wood St. Lane with widowed daughter Jane Wicks. Wife MARY: 1841 - 70 yrs. THOMAS NEWTH 1798: Died aged 68 yrs. Christened St. James Trowbridge unless otherwise stated. m. m. 23 Nov 1794 m. 10 Dec 1797 m. m.
Wife SARAH TUCKER abt 1745: Died aged 78 yrs. EDWARD abt 1776: Bachelor at time of marriage. Wife MARY PAYNE: Spinster at time of marriage. EDWARD NEWTH 1813: 1861 - 44 years unmarried drapers assistant, dwelling Temple Cloud, Cameley along with sister Hannah who was also a drapers assistant living in.1885 - res. Temple Cloud. ELIZABETH NEWTH 1810: Spinster at time of marriage. Witness - Mark Newth. Husband WILLIAM MOORE: Bachelor at time of marriage. ELIZABETH ANN NEWTH 1855: 1861 - 5 yrs, with family. Probate: Elizabeth Ann Bucknole of The Wayside Barcarras Road, Charlton Kings, Cheltenham (wife of Henry Hallett Bucknole) died 19 April 1931 Admon London17 Sept to Edward Hallett Bucknole architect and Henrietta Marion Bucknole spinster. Effects £1195 10s 3d. HANNAH NEWTH 1826: 1861 - 32 yrs, drapers assistant also living in same place in Temple Cloud, Cameley as brother Edward. JOHN NEWTH 1775: Bachelor at time of marriage. Witness Elizabeth Newth. Wife ELIZABETH MORGAN: Spinster at time of marriage. JOHN NEWTH abt 1809: Baptised aged 1 yr.
THOMAS NEWTH 1815: Died aged 20 yrs. EDWIN HENRY NEWTH 1845: Died aged 3 yrs. HANNAH MARIA NEWTH 1846: Died aged 3 mths. WALTER NEWTH: 1828 - bachelor at time of marriage, witness Hannah Newth, banns. 1841 - 35yrs, Coal merchant, dwelling Towbridge with wife and 5 children. Wife ELIZA KEMP: 1828 - spinster at time of marriage. 1841 30 yrs. Died aged 40 yrs. l. Edward NEWTH (b.1770 Buthay, Wootton Bassett, c. 23 Dec 1770 Wootton Bassett, Wilt., Eng. d. 1854 bur. 3 Jul Wootton Bassett m.2 Apr 1792 Wootton Bassett, Wilts.,) Brickmaker and Boatmaker..
d. 30 Nov Spring Grove bur.1 Dec 1875 Brightwater, Nelson, NZ) Brickmaker and Farmer. 3. William NEWTH (b.10 Aug c. 30 Aug 1835 Wootton Bassett, Wiltshire, Eng. sp: Ellenor KINZETT (b.20 Apr 1837 Oxhill, Warwickshire, Eng. 3. Edward NEWTH (b.1837/1839 Eng. 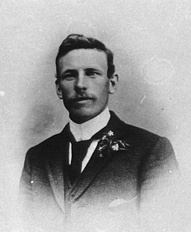 d.11 Jul 1913 Brightwater, Nelson.